1. *Value of Assets for which Advisory Services are being given. 2. #Of the above AUM Rs. 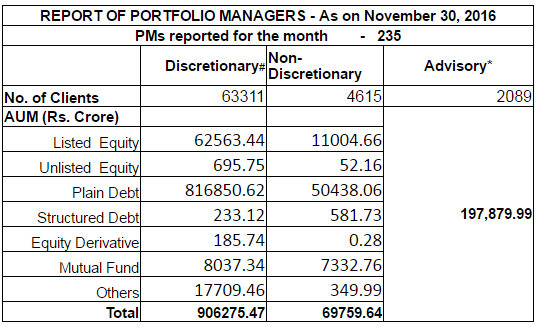 809491.8519 Crore is contributed by funds from EPFO/PFs. 3. 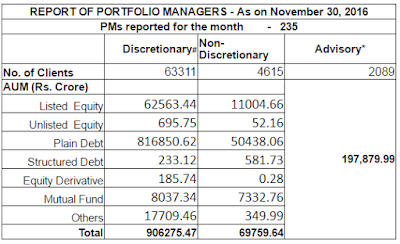 The above data is based on the monthly reports received from portfolio managers.